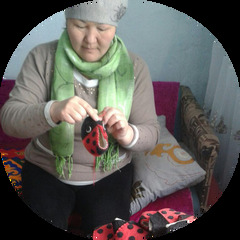 Women in Kyrgyzstan made this ornament by hand from felt. With a loop for hanging, the ornament measures 6 inches long. This unique ornament is a fun addition to any Christmas tree and will bring out the child in all of us -- great for the holidays or year round.